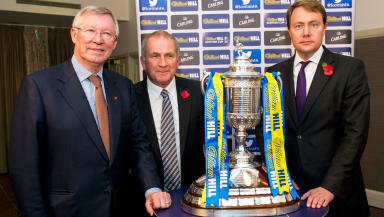 Sir Alex Ferguson conducted the draw as Premiership teams entered the tournament. Hearts have been handed a home draw with holders Celtic in Scottish Cup fourth round. Former Manchester United boss Sir Alex Ferguson conducted the draw in Aberdeen which produced four all-Premiership ties. Dundee United face Kilmarnock while Partick Thistle take on Aberdeen with Ross County meeting Hibernian. Falkirk will host Rangers while Inverness CT face Greenock Morton. 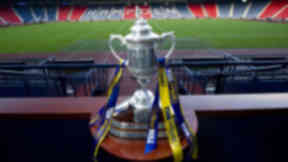 Fraserburgh will be on their travels with a match against either Stenhousemuir or Annan, Auchinleck Talbot could face Clyde if they beat Stranraer in their replay. There's a derby as Alloa host Stirling Albion with Motherwell facing Albion Rovers. The ties will be played on Saturday, November 30 and Sunday, December 1.